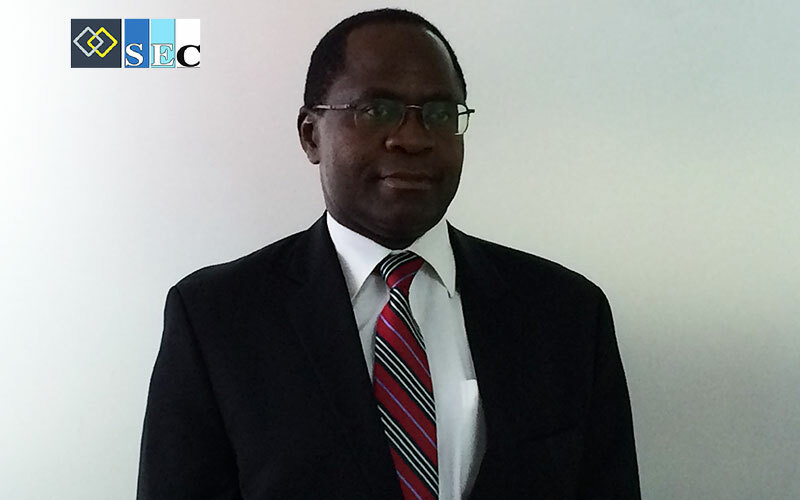 ZambiaInvest interviewed Dr. Evans David Wala Chabala, former Secretary and Chief Executive of the Zambia Securities and Exchange Commission (SEC). 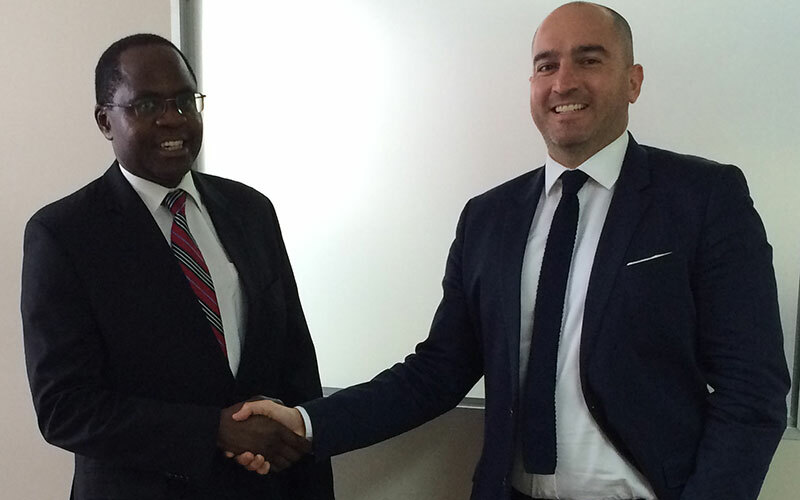 ZambiaInvest and Dr. Chabala discussed the current state of the capital markets in Zambia and the opportunities available both for investors to trade at the Lusaka Stock Exchange (LuSE) and for companies to list. ZambiaInvest: How would you describe the evolution and performances of the Zambian capital markets since their establishment? Evans David Wala Chabala: The Lusaka Stock Exchange has been in existence for just over 20 years. We have 22 listings, so that’s an average of one listing per year, although the bulk of the listings happened at the beginning of the stock markets during the privatization of 11 state-owned companies. Between August 2012 and August 2013 the LuSE All Share Index grew by 41% and performance could be even better if there was more liquidity. Liquidity remains a challenge as few investors want to sell shares because most of the accounts at LuSE yield good dividends. In fact, there seems to be a new trend in the market these days as enterprises are beginning to brag about paying dividends. The Zambia National Commercial Bank (ZANACO), which was formerly wholly state-owned, was partially publicized [privatized] in 2008. Since then, the taxes the company pays have increased by 800% annually and their dividends have also gone up like crazy. The last buy one company to list was Prima Reinsurance Company in 2013. With this listing, shareholders saw the opportunity to use the local capital markets to raise the required capital for their reinsurance business in Zambia, a capital hungry business. On the back of the listing, the company did a rights offer, which is a very rare thing to do at this stage, and which was fully subscribed. Usually a company first gets listed, generates a track record and then makes a rights offer. So that’s a good story to tell about the Zambian capital markets. For me, the future of Zambian capital markets will see other entities like Prima Reinsurance appreciating the use of capital markets to propel their businesses forward. ZI: What are the advantages of investing at the LuSE? EDWC: The attractiveness of the LuSE is obvious from an investor’s point of view. Once again, remember that between August 2012 and August 2013, the LuSE All Share Index grew by 41%. Shares are indexed in Kwacha (ZMW) so you have to take into account inflation and the exchange rate. But the exchange rate over time has been very stable and inflation is single digit at 7%. So taking both into account you still have a return on investment in the region of 25% to 30%. There are zero capital gains taxes and dividends are treated depending on the recipient. ZI: What are the advantages of listing on the LuSE? EDWC: By listing, a company can access cheaper capital, and grow much more rapidly. Also, listed companies actually have a much better chance to survive way beyond the horizons of its original shareholders as the shares remain on the market beyond the lifespans of these shareholders. So from a sustainability point of view and from a success point of view, it is much wiser to make a business public. As we speak, we have a couple of companies that have shown a strong interest in listing. ZI: Shareholders can be reluctant to list a company because they may be afraid of losing control over that company, which is often family owned. What are your comments on that? EDWC: What is control? Is control only when you own 100% of the shares of a company? Even if you give up 25% to the public, you will still have more than enough control. But really, what is being asked for in terms of listing on the market here is a minimum of 25%. So you have 100% of a company and you give up 25%. Does that mean you lose control? If a shareholder owns 100% of a business, it will always be small. By opening it up and having other investors participate, this shareholder will still own a small part of the business, but will also be richer. ZI: What other reason do you identify that would account for the reluctance of companies to list at the LuSE? EDWC: Most entities shy away from using capital markets because they perceive the cost of listing as being too high due to the small club structure of the Zambian licensed stockbrokers who own the LuSE. I’m convinced that once the LuSE is demutualized, we will see more listing on the LuSE and increased participation in the capital markets from the general public. At the moment, there only 29, 000 Zambian retail investors who invest in the stock exchange. ZI: At what stage is the demutualization process of the LuSE? EDWC: It’s happening as we speak. The parameters and dimensions of a demutualised entity have been defined including the model we want you to use, the holding that current brokers are going to have, etc. That’s the first phase and that has already been done. That is now being put into a technical or steering committee which will actually work through the implementation aspects. And once that’s done, we’ll open up the LuSE. By opening up the LuSE to other investors, the actual issues of conflict of interest are going to be very clearly delineated and managed. At the moment, the same stockbrokers if they are supposed to be disciplined, also sit on the board of LuSE and decide to adjudicate on the matters. But the club-like ownership and structure it is not the only issue: the other big challenge that we’ve had is the limited knowledge and reach. It is easy to understand this. You have a small number of stakeholders who have all the knowledge about capital markets and they literally choose with whom this knowledge is shared. We need to change this behaviour with much more deliberate dissemination of information and knowledge about the Capital Markets to all and sundry. ZI: Are there plans to list the Lusaka Stock Exchange itself? EDWC: That’s one option, but the current shareholders, the Zambian licensed stockbrokers, can still open themselves up to participation from other shareholders, without necessarily being listed. They may not want to list now but may prefer to instead build a proven track record because obviously the valuation would be different were the market to become more buoyant. ZI: President Sata has given Zambia Agriculture Minister, Wylbur Simuusa, a directive to “expeditiously operationalize” the Agricultural Credits Act and reopen the country’s agricultural commodities market for trade following a three-year break. Why did the previous commodities market fail and what are the benefits of restarting another? EDWC: Previously, there was the Zambia Markets for Agricultural Commodities Exchange (ZAMACE), but it was a private entity. It was operating without a regulator and with future contracts on that exchange having no guarantee that delivery would happen. When this happens, people lose faith in trading on the exchange. There will now be a different exchange altogether. We at the SEC are pushing for the commodities bill because, at the moment, we don’t have a commodities exchange Act and it can revolutionize trading of both agricultural and mining commodities. For instance, we never used to trade emeralds in Zambia; all emeralds used to be traded in India and in Europe. This new government has changed that. As a result, we have prices of emeralds and revenue from emeralds that we’ve never seen before. The company that mines and trades emeralds, KAGEM, of which the government is major shareholder, has declared dividends for the first time. So having more commodities trading here would certainly benefit the economy. But over and above trading, we think that we should deliberately push for public ownership in some of the sectors of the economy, through the exchanges. Furthermore, entities that are on the capital markets platform are readily marketed and traded way beyond the borders of the country. Listing a company on the exchange forces it to undergo due diligence, and with subsequent adherence to on-going obligations and makes it investable to global investors beyond borders of the country. So, capital markets also generate big publicity for the country. If the government were to be receiving dividends and proper taxes from most of the entities that are operating in this country, it would need to borrow less and issue fewer bonds. If government borrows less, the bond market of private businesses would be stimulated, because investors are still going to lend to somebody. It would also be a good thing for the stabilization of interest rates. ZI: All in all, what’s the outlook of capital markets in Zambia? EDWC: We know we’re small. We understand the constraints that make us remain small and we are doing something about those constraints, like the establishment of an alternative market and the demutualization of the LuSE. So we’re actually doing something about addressing those constraints that have confined us to being a small player in the capital markets and an anemic leg of the financial markets. I think the future of capital markets in Zambia can only be very bright.